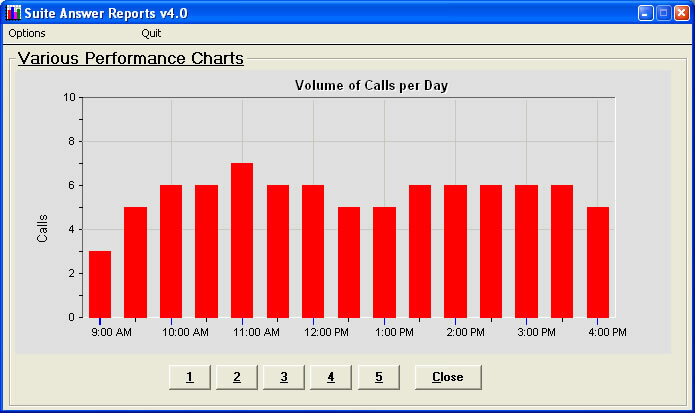 This chart shows the volume of calls per day and is broken down by hour. 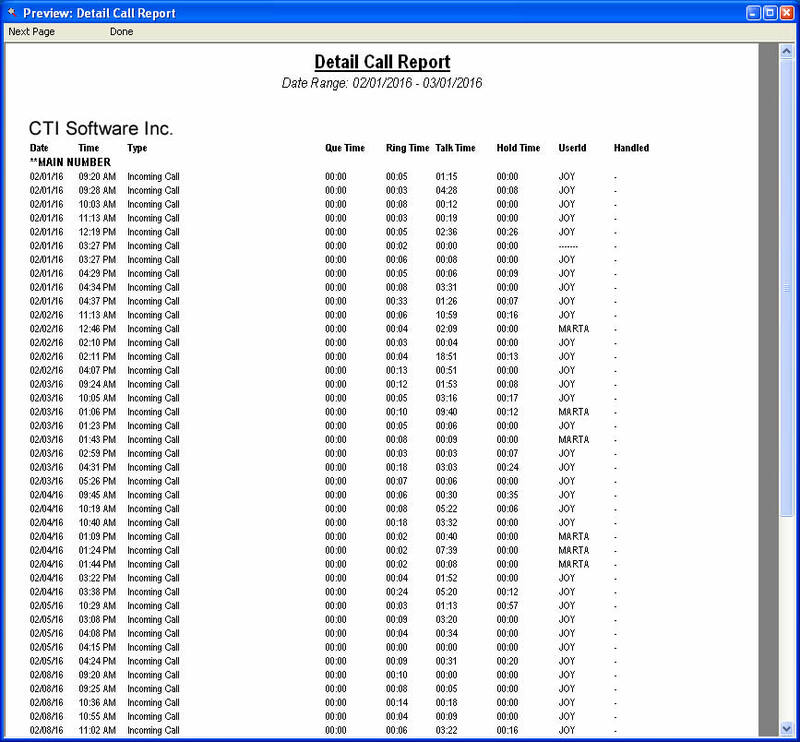 With this report, you can see what time of day the highest volume of calls are being made. 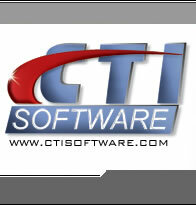 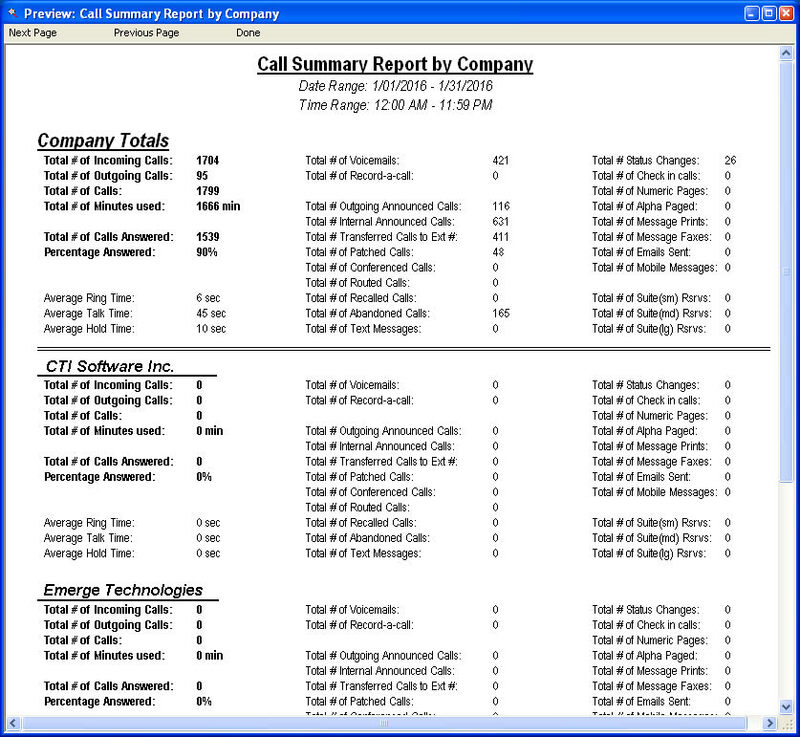 This chart shows the average amount of seconds the operator is on a call. 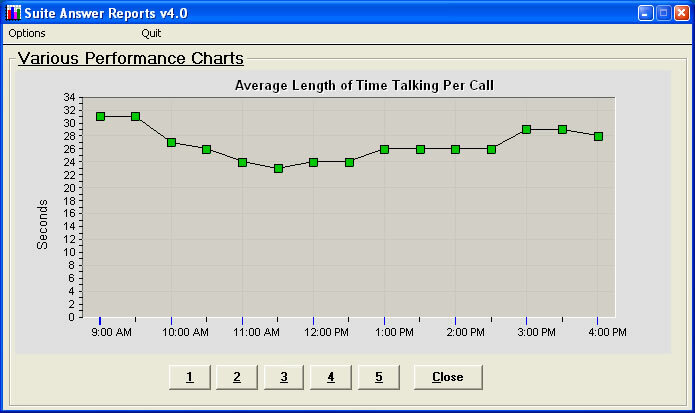 It is broken down by the time of day by an interval of your choosing. 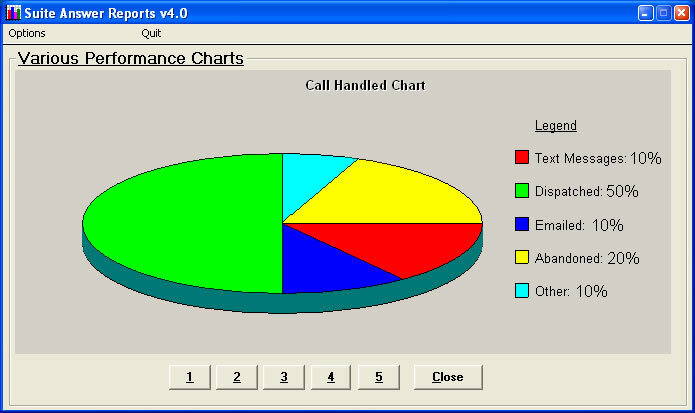 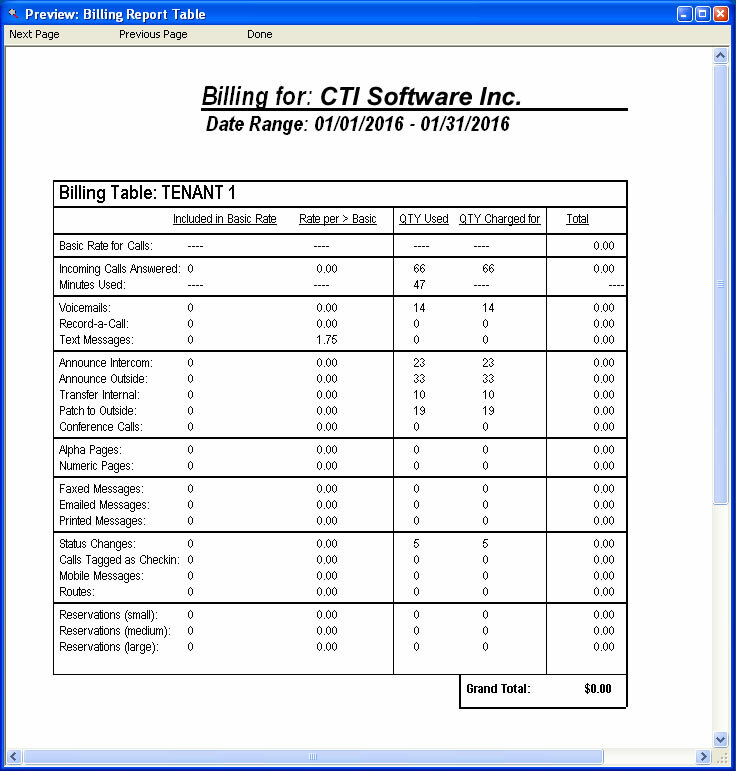 This report displays a pie chart showing the percentages of how the calls were handled.